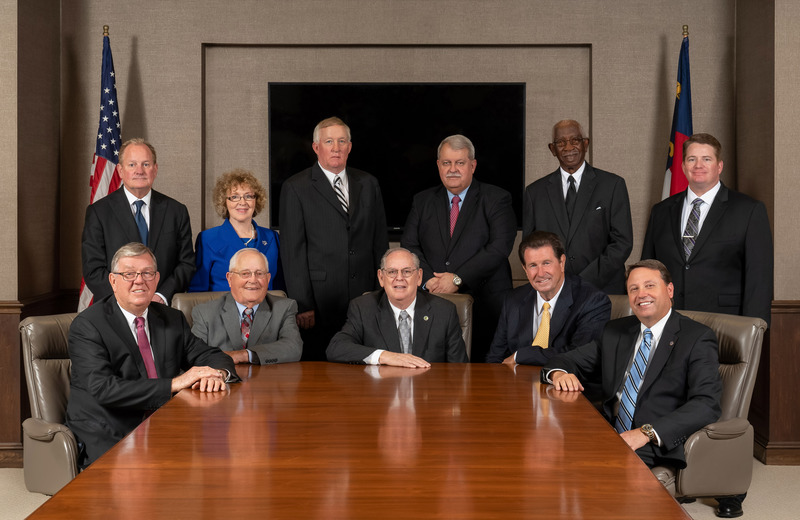 Back row: (left to right) R. Maurice Holland, Jr. (General Counsel), Judith B. Barnes (Assistant Secretary-Treasurer), John G. Bowen, James Ronnie Alderman, Sterling L. Lennon, and William Kiah Barnhill. In the 1950’s the only telephones around were in the urban areas of eastern North Carolina. At that time the bigger telephone companies could not afford nor saw the profit in building a telephone network to connect farmers and others who lived outside of town in the rural areas. These farmers and a group of local business people wanted the same amenities that were provided to the urban areas, so they took action. They went door-to-door to gather enough subscribers to form two new telephone companies, the Cape Fear Telephone Cooperative and Cumberland-Sampson Telephone Cooperative in 1951. 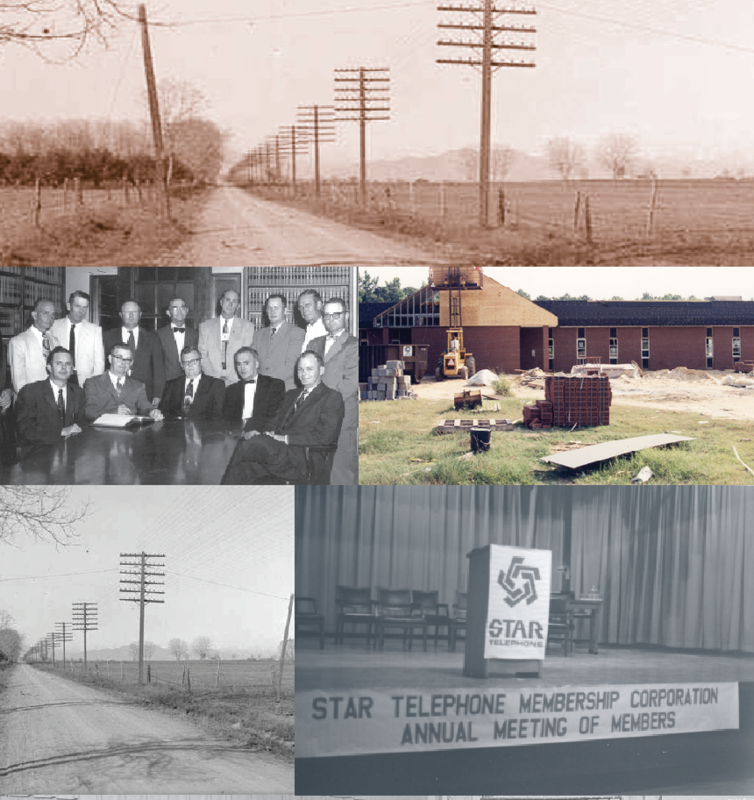 In 1959, through the hard work of its members and the assistance of the U.S. Department of Agriculture, the two cooperatives merged to form Star Telephone Membership Cooperative. The residences and businesses that reside in the geographic area allotted to Star Telephone are members of the cooperative. The membership is governed by a board of directors and each member has an equal vote in the appointment of these directors. The company operates on a non-profit basis and returns any profitable margins back to the membership in the form of capital credits. In 2014, the Star family of companies merged into Star Communications. Today, Star Communications serves customers covering a 1,458-square mile operating area in Bladen, Sampson, Duplin, Columbus, and Cumberland Counties. Star Communications is a cooperative owned by those it serves.